Richard LEWIS was baptised in Bosbury on 23 October 1796. 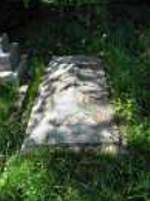 He appears in the Bath censuses of 1851 and 1861 and is buried in Lansdown Cemetery in Bath. His gravestone is in Section 4, row A4, number 30. Page last updated: May 2017, BSS.